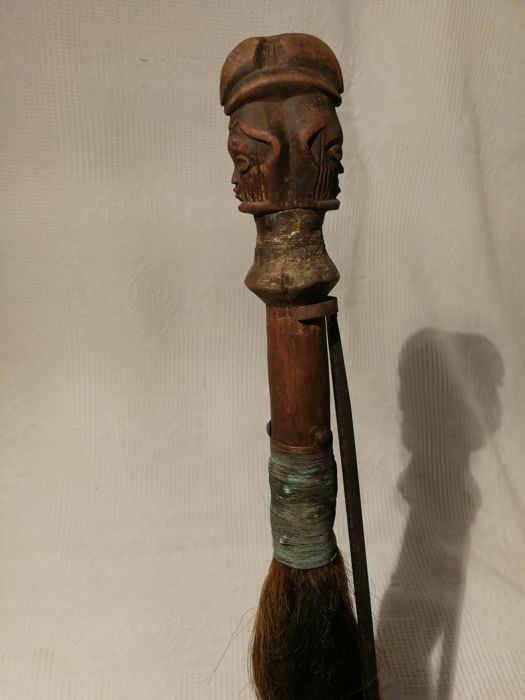 Fly whisk, Teke, Democratic Republic of Congo. 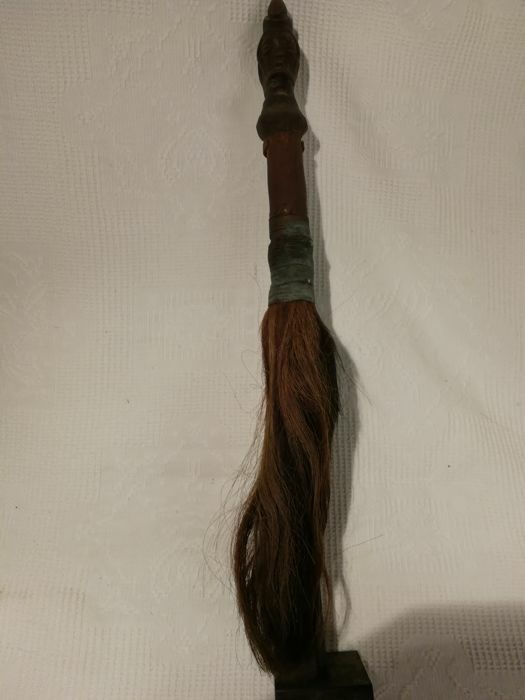 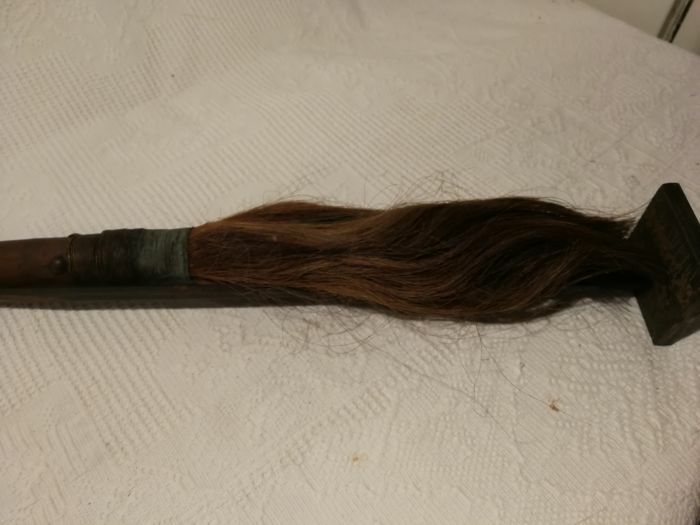 A fine janus-headed Teke prestige fly whisk with animal hair. 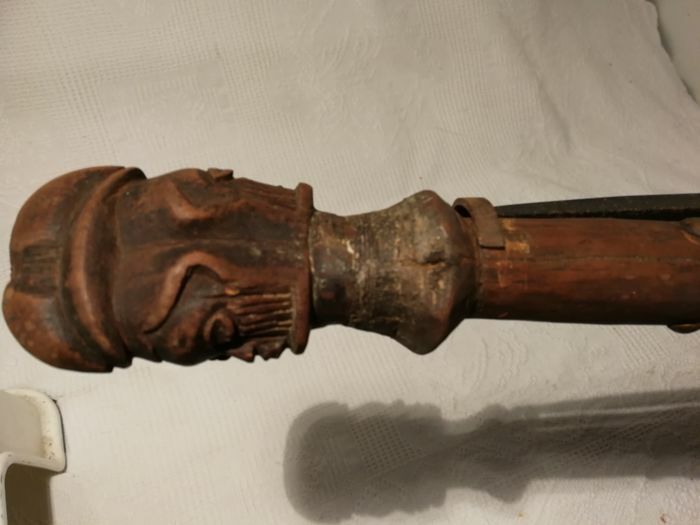 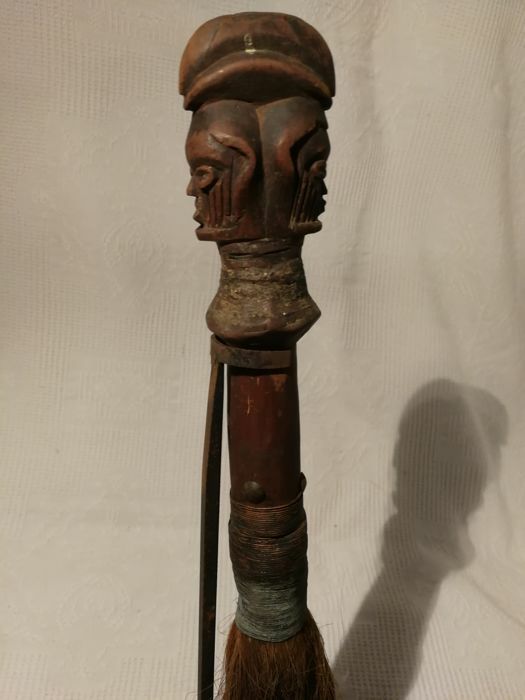 The top of the handle has a finely carved double sided head with striped scarification marks and a tribe-typical headdress acting as end piece.